The court found fault with the commission over the procedure adopted by it in filing an application before the panel through its own counsel and also the counter to Apollo Hospital. 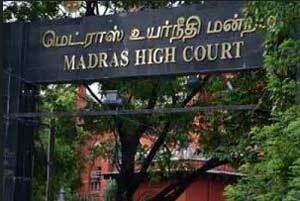 Chennai: The Madras High Court Thursday rejected Apollo Hospital’s objections to an inquiry commission set up to probe the death of late Tamil Nadu chief minister Jayalalithaa looking into aspects of treatment given to her. The bench said if a harmonious interpretation was made to the terms of reference, the government was careful enough to include the word “subsequent treatment provided till her unfortunate demise on December 5, 2016”. “We are of the view that if the commission is restrained from going into the correctness, efficacy, adequacy or inadequacy of the medical treatment provided by the petitioner hospital, it would only defeat the very object with which the government had appointed the commission of inquiry,” it said. It disagreed with the hospital’s contention that a retired judge of the high court (Arumughaswamy) cannot be the competent person to deal with the complex and intricate medical treatment and hence experts and professionals should be included in the panel. Referring to the hospital’s charge that its doctors were repeatedly questioned and harassed, the bench said it was not inclined to accept the submissions that witnesses (doctors) were wantonly, willfully and deliberately harassed by the commission.